Lets look at plants that flourish during our cool moist winters. 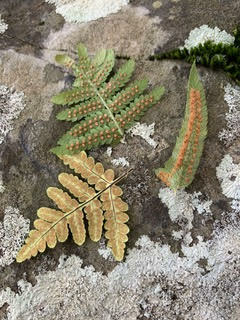 We’ll identify a least five native ferns and several mosses, and discuss life forms and habitats. Bring a hand lens if you have one. Easy/moderate walk, 3 miles, some uphill/downhill. Rain cancels. Parking fees apply. Bring a lunch to enjoy afterwards.